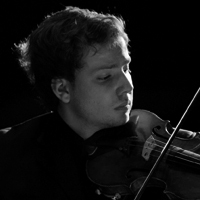 Matteo Mizera has started nine years studying the violin under the guidance of Luciana Hazan. At the age of thirteen passed to the study of the viola. 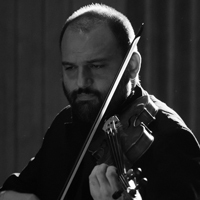 For seven years she attended the Conservatorio di Santa Cecilia in Rome in the viola class of Maestro Luca Sanzo, with active participation in all artistic manifestations. 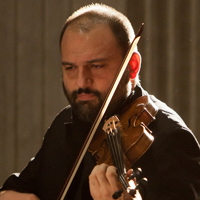 In 2007 he received the Diploma of II Award Category B from ESTA (European String Teacheers Association) in the string Festival "Meetings on the Stage." 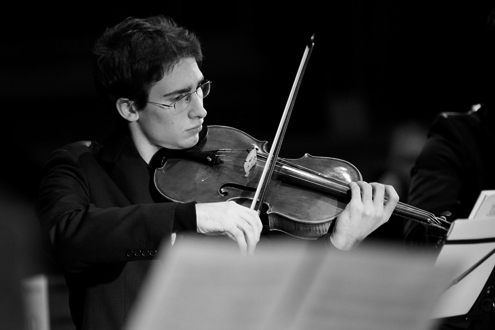 On advice of the Conservatory of Santa Cecilia was invited to participate in the Review string "Meetings on PaIcoscenico" held in Cremona in May 2009. 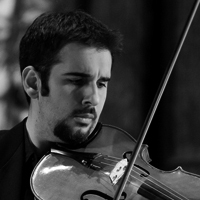 From 2007 to 2012 he attended the viola Master Class of M° Bruno Giuranna and also the Summer Courses of Maestro Luca Sanzo in Nazzano and Pitigliano. In 2012 at the French Academy in Rome has participated as a musician in the masterclass with Maestro Garth Knox. 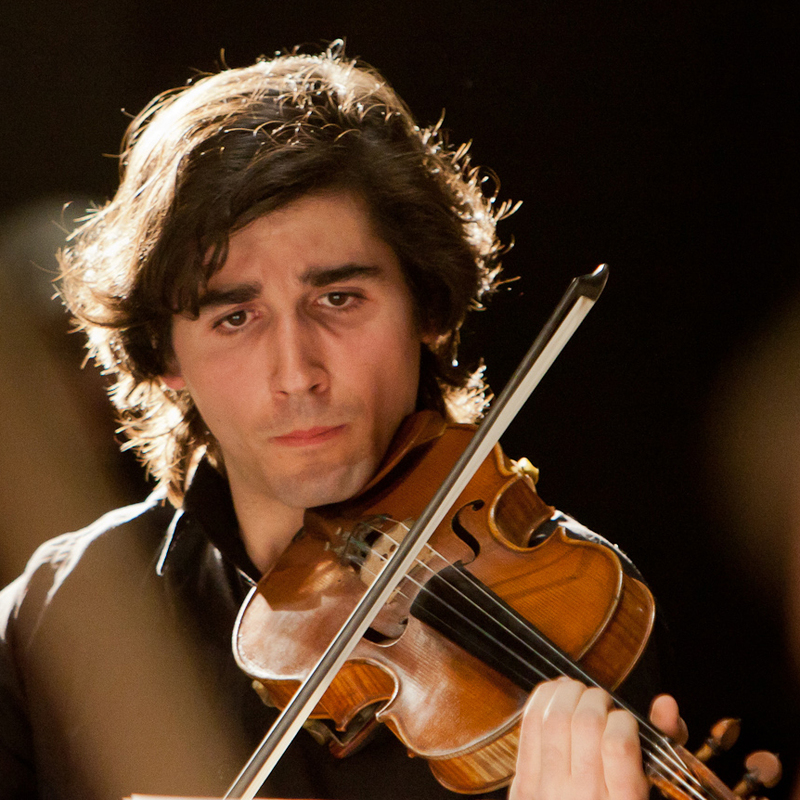 In the spring of 2010 he won the Gold Award (First Prize) in the competition "Young Musicians" with a score of 95/100, organized by the Arts Academy. 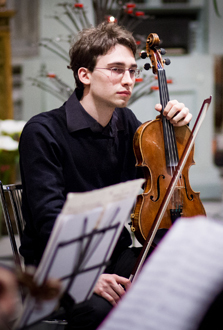 In the summer of 2010 he participated at the Menuhin Festival in Gstaad (Switzerland), covering the role of first viola in the Orchestra of the Swiss Youth Festival. This Orchestra has performed on August 8 in the important home of the Festival, performing music by C. Ives, A. Dvorak, A. Marques, L. Beethoven and Saint-Saëns. In September 2010, in the string Exhibition of Vittorio Veneto, he received a Certificate of Participation in the Final Category Viola A2. 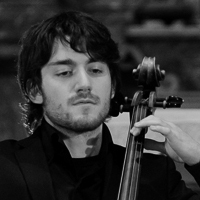 On 9 October 2010 he played at the Palazzo dei Congressi in Rome for the "Festival of Young Ideas", receiving a certificate of merit. He played several times in chamber concerts in Rome and Lazio, including the execution of "Trans" of K.Stockhausen with the special participation of the Tashi Lama and the Soloists of the ECHP directed by Tonino Battista, concerts in the presence of the Holy Father, Benedict XVI , with the orchestra of the Conservatory of Santa Cecilia conducted by Don Frisina and M ° S. Massarelli. 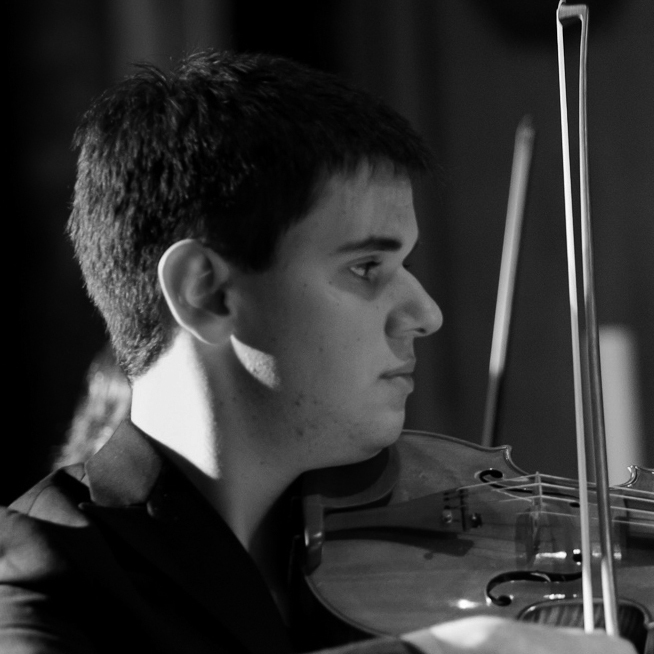 In September 2010 he achieved the Intermediate Course Diploma in viola at the Conservatorio di Santa Cecilia with a score of 9.25. 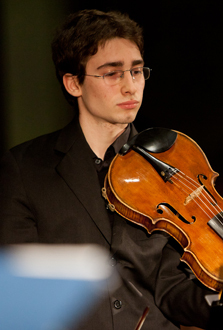 Since 2006 participates in continuously at the Accademia di Santa Cecilia JuniorOrchestra direct by Simone Genuini and Antonio Pantaneschi performing at various events and concerts among which those at the Basilica of Santa Croce in Gerusalemme in the presence of the Mayor Veltroni and the Quirinal Palace in the presence of head of State Giorgio Napolitano and Senator Rita Levi Montalcini, concerts in Val di Sella at the invitation of Maestro Mario Brunello, the Christmas Concert in the Chamber of Deputies, the concerts in the summer in Ischia on the occasion of the Festival of Youth Orchestras organized by Walton Foundation, including the Family Concert of the National Academy of S. Cecilia execution of the musical tale "Peter and the Wolf" directed by Maestro Franco Petracchi and Valeria Marini as narrator, participation in the Ravello Festival in the summer of 2009. In 2010 he passed to the hearings to be part of JuniOrchestra Advanced led by Maestro Carlo Rizzari by participating in the season "Time of Orchestra" of the Chamber Orchestra of Mantova, in 2011 at a concert for the Policlinico Umberto I , on the occasion of the celebrations of the unification of Italy, at the "Night Tricolore" on the Piazza del Campidoglio, a concert with the Choir of the Accademia Nazionale di Santa Cecilia, conducted by Maestro Ciro Visco in the Vatican Basilica of St. Peter to celebrate 60 years in the priesthood of His Holiness Benedict XVI.